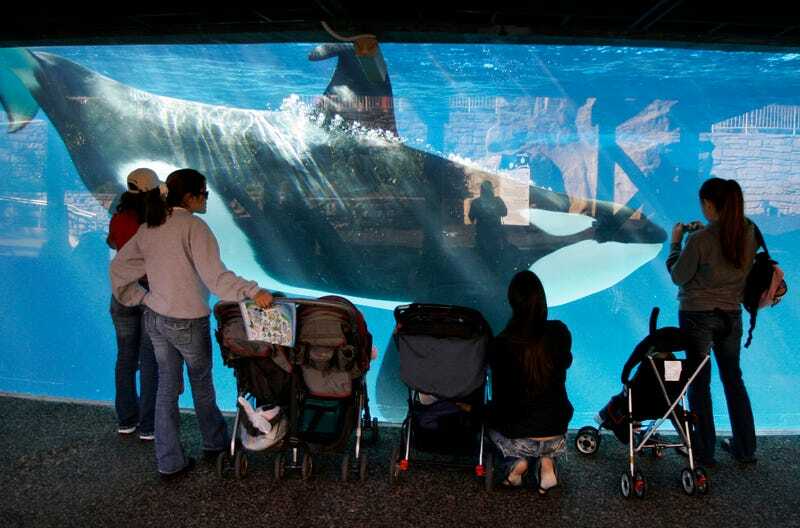 After years of public outcry and declining attendance over killer whale conditions at SeaWorld, the company’s San Diego facility announced that its final killer whale show will take place on Sunday, according to the Associated Press. There are 11 orcas at the park, ranging in age from 2 to 52 years old. The San Diego park will unveil a new attraction in the summer called “Orca Encounter,” which the company is peddling as an educational experience. However, vice president of zoological operations at the park, Al Garver, told the San Diego Union-Tribune on Saturday, “You will still see a whale leaping out of the water.” Only this time it will be to “demonstrate behaviors,” not merely to entertain customers with miserable bloodsport. No it’s not the same thing, not at all. The news comes just days after the AP reported that Tilikum, an orca famous for its involvement in the deaths of three people, had died at SeaWorld’s Orlando park. Tilikum was the focus of the 2013 documentary Blackfish, which highlighted orcas’ abysmal quality of life at SeaWorld and their tendency to turn violent when mistreated in captivity. SeaWorld has recently mandated progressive changes to several of its parks with regards to orcas. SeaWorld’s Orlando and San Antonio parks have said they will end their orca shows by 2019. The company’s forthcoming park in Abu Dhabi will be its first not to feature killer whales at at all.